One of the most important things to consider in life is saving for retirement. While experts argue over the appropriate amount of money required for comfort in retirement, there are a number of ways to plan to get the most from your savings. Many people utilise individual retirement accounts (IRAs). These accounts allow taxpayers to get tax benefits for their saved money. The most popular types of IRAs are traditional, simple, simplified employee pensions and Roth IRAs. The difference in these accounts is in their set up, contributions and tax deferment. The financial products underlying IRAs include mutual funds, stocks, and bonds. IRAs are set up by the individual who is looking to save for their retirement. Traditional IRAs are accounts that are usually set up with funds that have already been tax-deferred. Taxpayers will receive reduced tax liability on funds deposited into IRAs. They will, however, be taxed when the funds are released for retirement purposes. In the same way, Roth IRA accounts are also great for saving for retirement purposes. However, unlike traditional IRAs, these accounts are not tax deductible. When the individual makes a payment to a Roth account, they are doing so with funds that have already been taxed. In order to keep the taxpayer from getting a double whammy on taxes, they are simply not taxed on withdrawal, thus leaving the Roth IRAs non-taxable upon payout. Conversely, a simplified employee pension (SEP) IRA is set up for self-employed entrepreneurs, small business owners, and contractors. These are set up by the business owner for their employees (or their individual self), and the business owner is the contributor. Employees are not allowed to make contributions to this account as it is a tax deduction for the small business. When a small business sets this type of IRA up for its employees, just like the traditional IRA for individuals, the tax deduction is seen on the IRS tax form. During retirement, when employees take from their SEP IRA, they will be charged with the taxes of income at the time of withdrawal. Savings incentive match plans for employees – also known as SIMPLE IRAs – are similar to SEPs. However, this plan allows both employee and business owner to make tax-deductible contributions to the accounts until payout at retirement. During retirement, when the employee makes a withdrawal, they will then see their tax liability. They also help the small business lower their tax liability. Many others choose to get into the real estate market to help have investments for retirement. Some individuals buy properties that can be resold, some have summer homes, while others get into rental properties. Rental properties can provide a steady stream of constant income while faced with retirement. 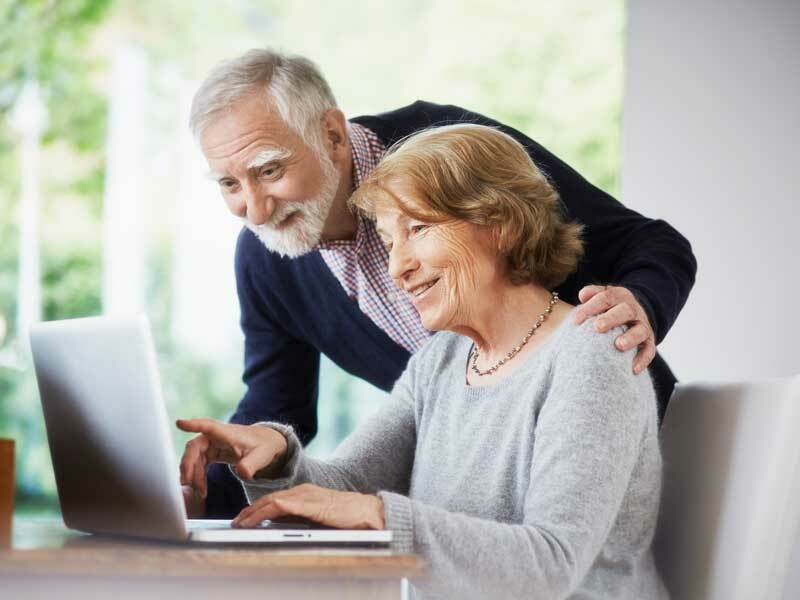 Many taxpayers invest in a mutual fund or an exchange-traded fund (ETF) through their 401k or IRA to help them gain access to the real estate market financially, thus ensuring an even more secure investment for their retirement. Employer-sponsored plans offer incentives to both the employer and the employee. For the employee, the plan is a low-cost benefit that provides a method of obtaining discounted services. The employer benefits from having their contributions tax-deductible. Moreover, providing this service acts as a means to retain crucial and high-performing employees. The 401k and some forms of IRAs are types of employer-sponsored retirement savings plans in which employee contributions are matched by their employer. IRAs and 401ks are appealing due to tax deferral and investment possibilities. A brokerage account is an alternative to these plans, but it does not offer tax deferral. It makes up for this in the investment opportunities it provides. There are myriad investment possibilities, including individual stocks and bonds, mutual funds, ETFs, real estate investment trusts, certificate of deposits, and money market funds. Among these options are more aggressive investment choices. The most aggressive options are stocks, mutual funds, and ETFs. The appeal of these is that the possibility of earning more is greater than with a savings or checking account. Bonds, certificates of deposits, and money market funds are the less risky options. Nevertheless, these options provide the peace of mind stability in the long-run, as opposed to the short-term volatile nature of stocks, for instance. A final benefit of a brokerage account is the 20 percent lower tax rate (when compared with ordinary income taxes) on long-term capital gains. These sorts of annuities offer an alternative pathway towards achieving a retirement goal. These annuities are characterised by tax deferral and various opportunities for investment. They are offered to both individuals and to those who are married through insurance companies. There are three available interest rates that can be chosen from: fixed, indexed (that is, determined based on the points of a specific index) and variable (tied to the performance of the market). Any money deposited into an annuity accrue tax-deferred, but become taxable once funds are taken out upon retirement. An additional benefit of annuities is that they can provide a sure income to the investor for a fixed time period, or even their entire life. Annuities are not the best choice for each investor: they are backed only by the ability and reliability of the originating insurance company’s claims-paying. The outcome of one’s investment using annuities is not able to be guaranteed. Still, it’s worth noting that if you find yourself in a financial emergency, do your best to avoid withdrawing from any of your investments. Car title loans are an available option to quickly receive the cash that you need. There is an extensive history of insurance agents selling annuities to simply manipulate investors just to receive generous commissions. Often agents are not concerned about the real benefits to the investor. These annuities are generally more expensive than options discussed above. It is not uncommon to see annuities which have annual costs of well above four percent per year.